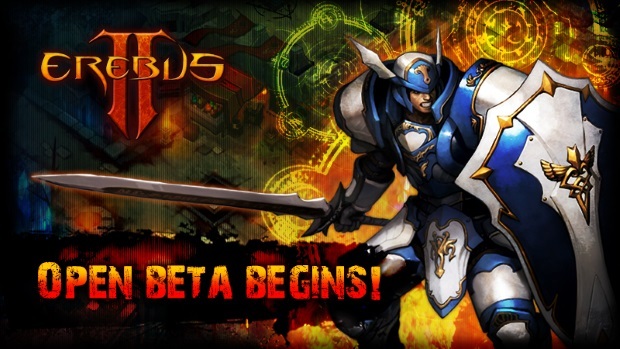 Zemi Interactive, Inc., Korea’s leading MMORPG developer and service provider of famous free to play MMO “4Story” and “Erebus” has announced the beginning of the Open Beta Erebus2 Global. Open Beta will last until October 15th,. The level cap for Open Beta is set for 40 at the moment but it is planned to be increased in the next Open Beta update. Currently Erebus2 is undergoing several Open Beta events. Amongst the players who reach level 40, the first 5 will receive 2000 gold (worth $20) and 5 more will be nominated to receive another 2000 gold. This is a joint event with 4Story where all 4Story players who reach level 40 will receive 500 gold. Big Clowns will be roaming the maps to give various potions. One such item will be 1000 capacity HP pack where the potion can be used continuously until the capacity runs out. Others will be exp and ability increase potions. But it won’t be easy to hunt at first because the level is set for 40. Jackpot event, where the monster has the chance of hitting jackpot of tons of Tra (in-game currency), will also be run. More information can be found at www.erebus2.com . A new blog post has come from Ship of Heroes going over what goes into working on the missions for the upcoming MMO.